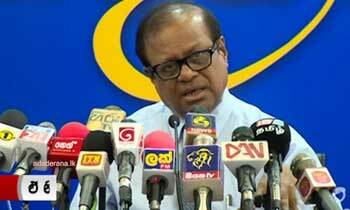 Minister Susil Premajayantha said today President Maithripala Sirisena would be compelled to effect changes at the national level soon after the Local Government elections because the current government could not continue in this manner. "Although the UNP stated that when the election is over the current unity government will continue as usual but anyone can understand that it was impossible to do so," he told the weekly SLFP news briefing. Sure the? He is obviously practicing pole vaulting!? If the UNP manage the economy for the next two years, the God himself may not be able to save even the rural banks. cannot make merry with this Gov. thats why. This notorious rejected hypocrical spoiler was silent being with MR. He is a diabolical liar and appears to be distorting Presidents speeches. How is this joker going to get the numbers ?The change will be a fully UNP Govt. No harm joining with TNA as they are not interested in a separate state now. We have not forgotten how you allowed inferior petrol import during your tenure.